Longin is in a tall field of emmer. Credit: Photo credit University of Hohenheim. 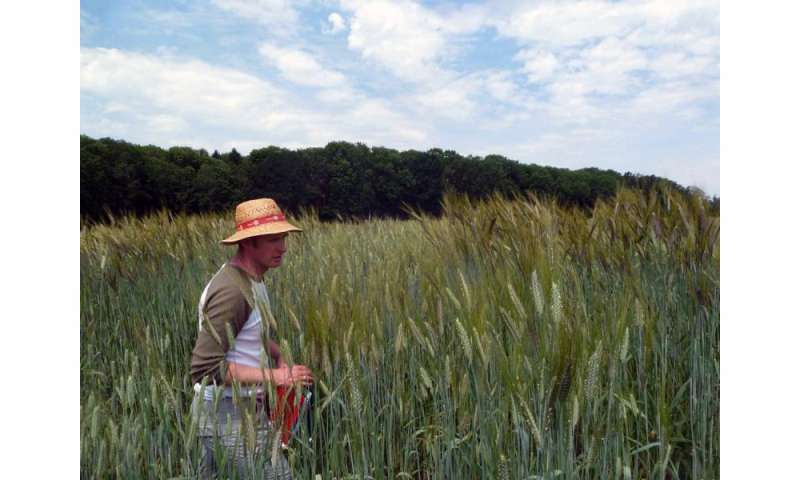 From left to right, einkorn, emmer, and spelt are shown. The top row shows the sticky hulls intact with the kernels. 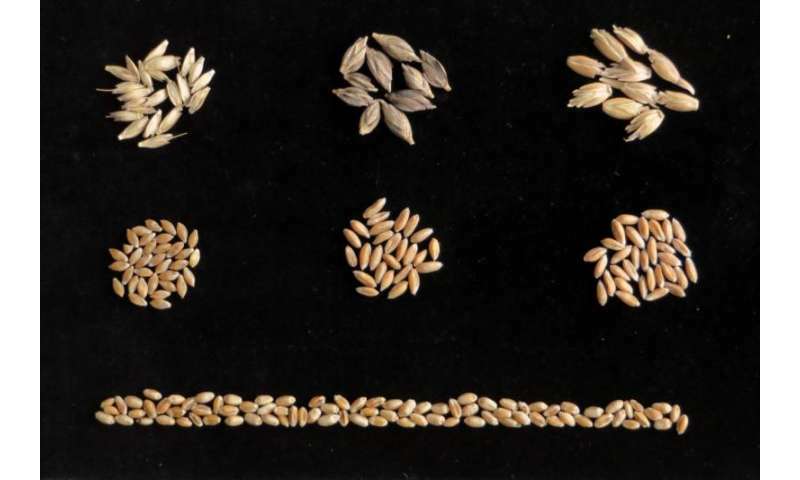 The middle row shows kernels with hulls removed The bottom row shows normal bread wheat kernels for comparison. Credit: University of Hohenheim-T. Würschum. 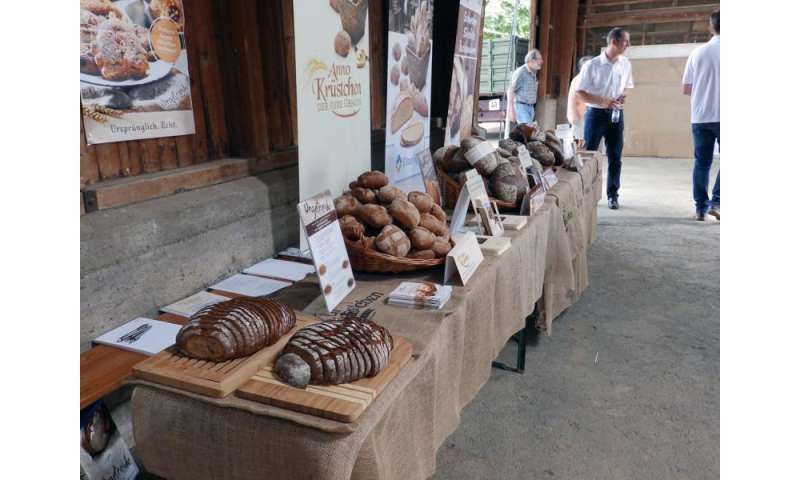 A sampling of breads made from emmer and einkorn. Credit: University of Hohenheim.